Features GE's new X-13 motor, which provides enhanced SEER performance with most Rheem outdoor units. Nominal airflow up to 1.0" external static pressure. Factory-installed high efficiency indoor coil. 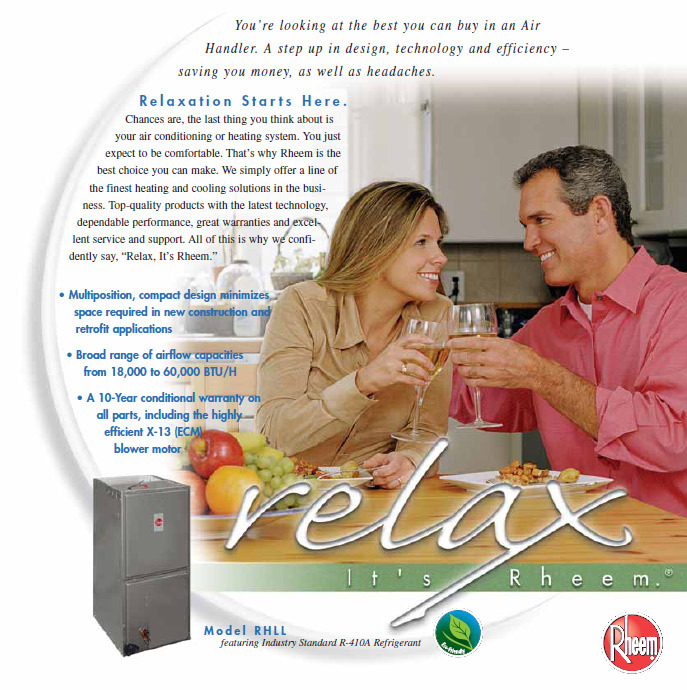 RHLA/RHLL models feature GE’s new X-13 motor which provides enhanced SEER performance with most Rheem outdoor units. The most compact unit design available, all standard heat air handler models only 421/2 to 551/2 inches [1079 to 1409 mm] high.